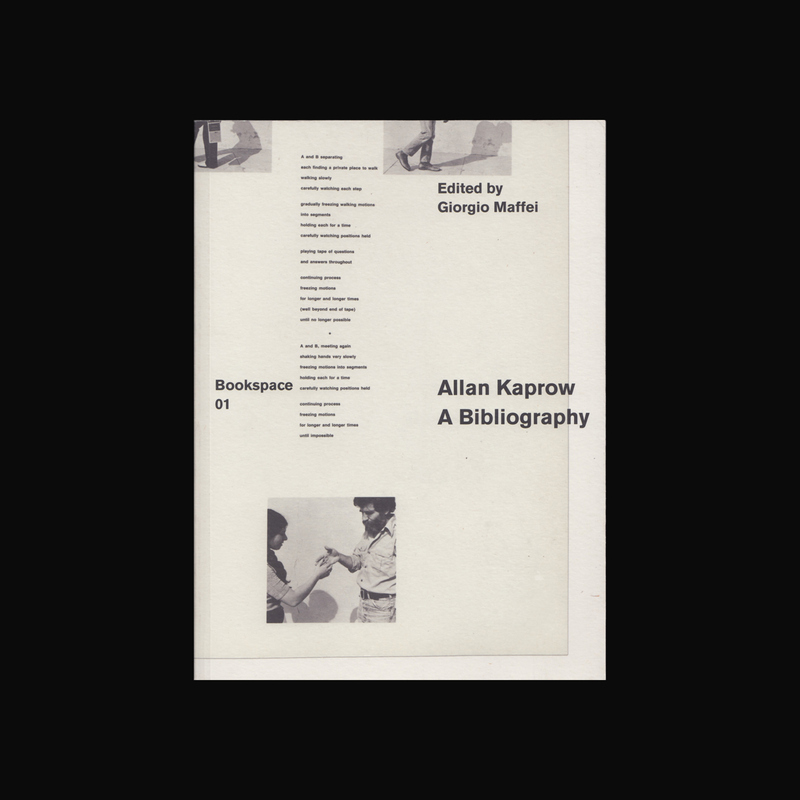 This bibliography catalogues and illustrates, with a wide selection of images, Allan Kaprow’s entire body of published work: from his first artist’s book in 1962, to his last anthological projects in the 1990s. 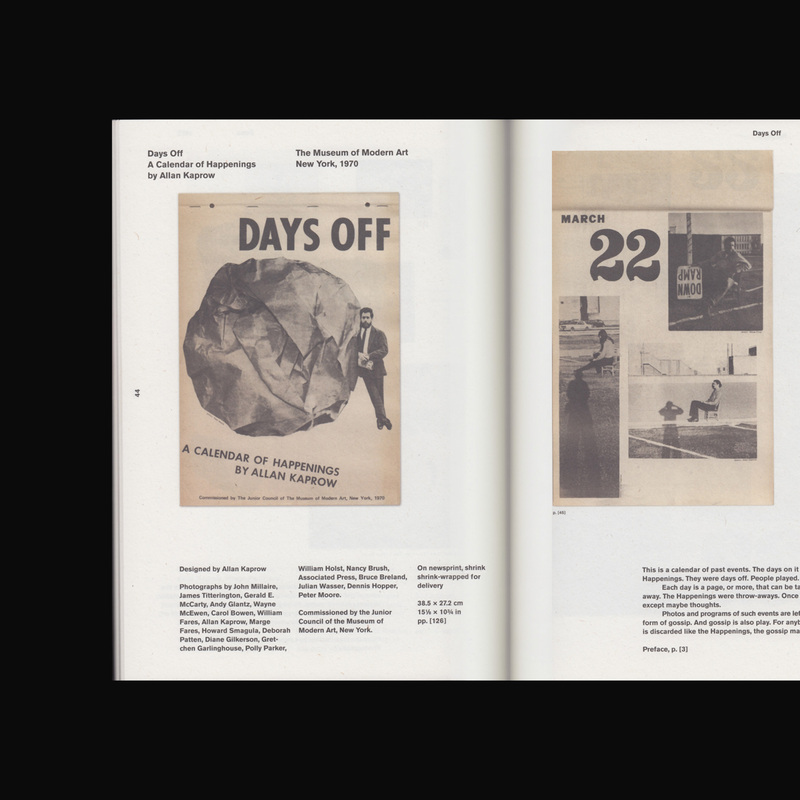 This lesser-known side of his oeuvre unfolds through 32 books, booklets, and pamphlets produced over a period of 40 years. 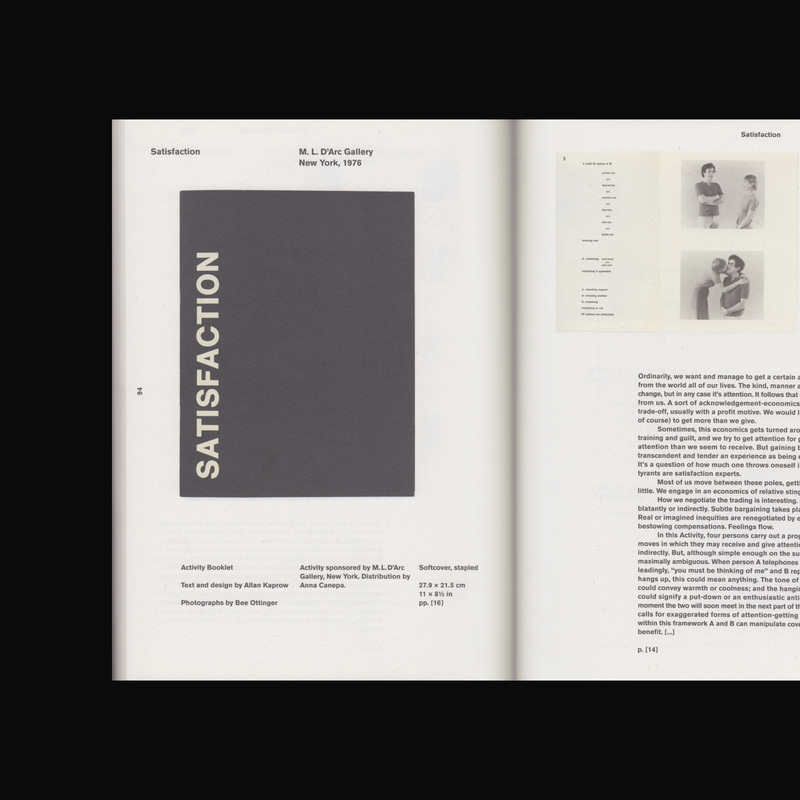 Kaprow’s work moved along two parallel tracks: Happenings—of which he was an unchallenged pioneer, starting in the 1950s—and “Activity Booklets,” which functioned as a tool to help people understand and experience these performances. 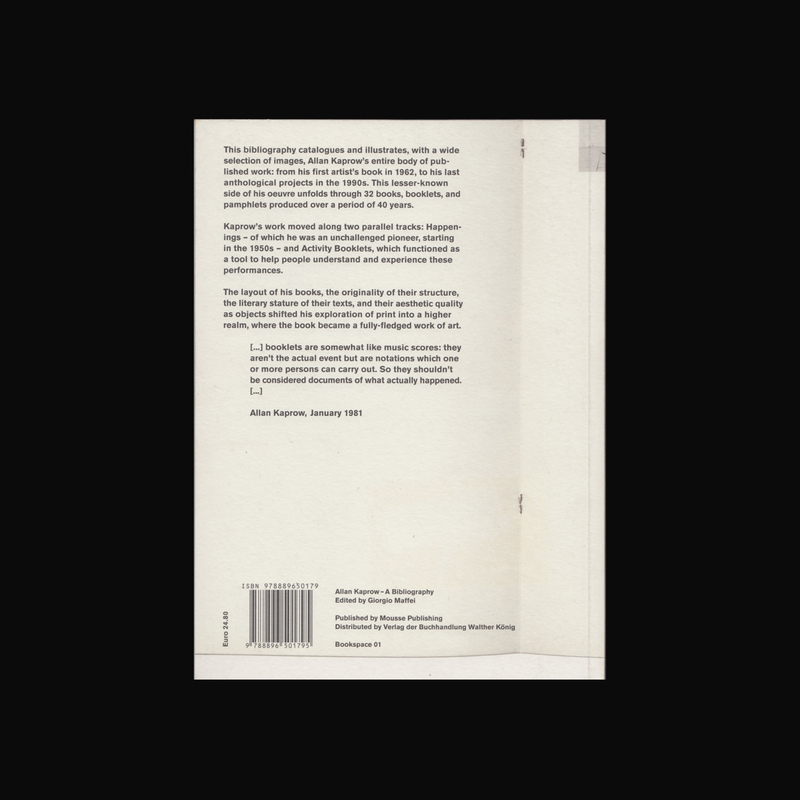 The layout of his books, the originality of their structure, the literary stature of their texts, and their aesthetic quality as objects shifted his exploration of print into a higher realm, where the book became a fully-fledged work of art.